Your arms are one of your most visible features, especially in the California heat. No one wants to keep their arms hidden under layers of clothing, but many men and women do just that because of dissatisfaction with the appearance of their upper arms. Even with diet and exercise, many individuals are unable to tone and tighten this area. Arm lift surgery, or brachioplasty, removes sagging skin and excess fat from around the biceps and triceps so that you can achieve toned, sculpted, and younger-looking arms. How Can an Arm Lift Help? Arm lift surgery tightens and transforms the appearance of the upper arms. Dr. O’Toole tailors each arm lift procedure to the individual patient so that they can achieve optimal results. The arms are notoriously difficult to tone, especially as you age. Arm lift surgery reduces the overall circumference of the upper arm by removing excess skin and fatty tissue for a more sculpted and athletic look. Skin laxity on the upper arms occurs when elasticity is lost. While this happens gradually with age, additional factors such as sun damage and weight loss can expedite the process. Arm lift surgery tightens loose skin for more youthful contours. Many people try to hide their arms under sweaters and sleeves whenever possible, even in the hot summer weather. Others may be unable to find clothing that fits properly because of loose skin and excess fat. Arm lift surgery allows patients to feel more comfortable baring their arms in tank tops, sleeveless dresses, and swimsuits. The appearance of flabby, untoned arms is a source of embarrassment for many men and women. Arm lift surgery allows these individuals the confidence to embrace and show off their upper arms. Compression garments are wrapped around your arms, and you can expect to wear these for a few days. These will help promote blood circulation, reduce swelling, and aid in the overall healing process. All sutures are removed after one week, and you will be able to return to work and light activities at this time. You should avoid any lifting or strenuous activities for at least six weeks. The final cost of your arm lift surgery will depend on many factors such as the techniques used and any combined procedures. This price includes anesthesia fees, surgeon’s fees, facility fees, and all materials and equipment. You will be given an accurate estimate during your consultation. Arm lift surgery is performed under anesthesia to ensure a painless and comfortable procedure. You can expect to be tired and groggy the rest of the night and will be required to have someone drive you home and stay with you for the first night to help with all activities. Bruising, swelling, and some minor discomfort is to be expected. Over-the-counter pain medication and cold compresses usually help with this; however, oral pain medication can be prescribed if needed. Scarring will be present at the incision site. Dr. O’Toole does his best to keep this scar as small and hidden as possible; however, most brachioplasty scars extend from the armpit to the elbow. You can help reduce the appearance of the scar by keeping it away from the sun, avoiding any excess tension on the arms during the recovery, and using silicone scar sheets over the incision. All scarring will fade with time. Arm lift surgery results in a smoother, tighter, and more contoured upper arm appearance. These results will become apparent as soon as the post-operative bruising and swelling subside, which usually takes a few weeks. You can experience long-lasting arm definition with this procedure as long as a healthy weight is maintained. Q. What are the potential complications from arm lift surgery? You can help reduce the chances of these complications by following all of Dr. O’Toole’s advice both before and after surgery. Q. Are there alternatives to arm lift surgery? Smartlipo® is often recommended for patients who are dissatisfied by the presence of localized fat in the upper arms but do not require skin removal. Smartlipo® is a minimally invasive procedure that uses laser light energy to break up and remove fat cells and tighten mild to moderate skin laxity. Q. Why should I choose Pasadena Cosmetic Surgery? 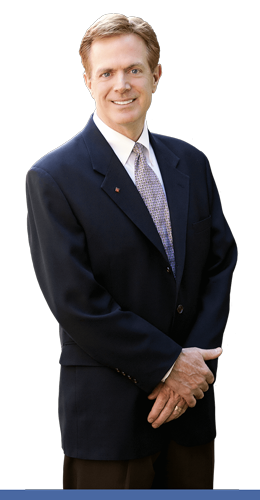 Dr. O’Toole has more than 20 years of training and experience. He and his team at Pasadena Cosmetic Surgery have helped many Los Angeles area patients achieve the slim and contoured arms that were previously unattainable.